Stress Management Counselling Melbourne – In an environment where we are constantly worried about one thing or another, whether it’s your job, your family situation, your future prospects, weight loss or more, it is natural to feel stressed. However, stress in long-term can trigger other problems and in addition to psychological problems can also lead to physical problems. Due to the stigma attached with seeking professional psychological help people find it difficult to seek professional help. However, Stress Management Counselling Melbourne is exactly tried to remove that stigma attached with seeking professional help. There is no harm in seeking professional help in order to deal with difficult situations. Your stress could be because of an event in your life or because of a disease. At Stress Management Counselling Melbourne we can help you identify the cause of your stress and find an effective way to manage your stress. It is difficult to perform everyday functions of life with constant stress, as it can trigger other problems as well. Therefore, to create a healthy way of living and perform regular functions effectively it is important to learn stress management. Stress management can help you deal with chronic stress and improve your everyday functions of life. Sometimes, you can find it difficult to talk to your friends and family and cope with the prevailing stress in your life. If you have been constantly stressed about your life or a situation and you’re finding it difficult to cope with it, then you should contact us for our Stress Management Counselling Melbourne program to find an effective way to deal with stress. 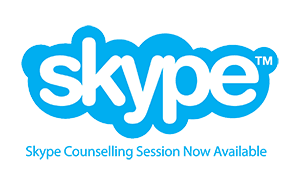 Please use the online contact form below to get in touch with us regarding booking enquiries for Stress Management Counselling in Melbourne.